Maybe someone, preferably a moderator, could make a new zip of Vanilla 2.1.2 with the global JS bug fixed and upload it here. I think it really hurts the software if the newest version people should download is in a somewhat broken state. At least you read the announcement and came back to read the comments later. thats a plus, if it helped. @peregrine, thanks for the fix with the global.js file. I will release 2.1.3 today. Apologies for the oversight. What is driving me mad is this: No one can seem to explain why the previous call in 2.1 worked but the one in 2.1.2 doesn't. The fact of the fix doesn't interest me half as much as knowing why it happened so I can prevent another faulty release in the future. it didn't work in 2.1 - the hours were never updated. and the method of getting defintions changed. it just didn't crash. // Ajax/Save the ClientHour if it is different from the value in the db. and it was masked by the fact that admins were ususally setting their own timezones so it didn't matter and they never noticed the time was off. it may have been working in 2.1b2 - not sure. that is why so many new fourm owners are having problem 2.1 never updated user table correctly, hence with 2.1.2 the houroffset was always different js vs db table (as a result of all users created during 2.1 phase) and just fresh install of 2.1.2 it finally evaluated gdn.url which was never defined early enough. 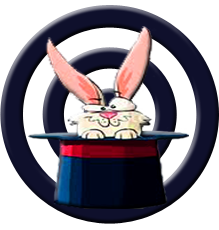 Oh boy, the magician badge! with a 5 beerglass rating. I have re-released as 2.1.3, now with the fix to global.js and another I spotted. I simply renamed this thread & updated the diff since it's an "oops" release. many people are having these issues because they fail to read this discussion and the spreadsheet. Maybe adding a Notice somewhere that the htaccess file will get overwritten and they need to make sure it is like the one they had before to avoid 404 error due to rewrite url not being correct in the htaccess file after update. @vrijvlinder said: Maybe adding a Notice somewhere that the htaccess file will get overwritten and they need to make sure it is like the one they had before to avoid 404 error due to rewrite url not being correct in the htaccess file after update. yes, might prevent alot of mishaps. and a note to make a local backup copy of config.php and .htaccess before upgrading. or a htaccess_sample file to be moved to .htaccess and adjusted if need be, to avoid overwrite entirely. i upadate to vanilla 2.1.3 but comment not refresh in 5 sec. how can i fix it.